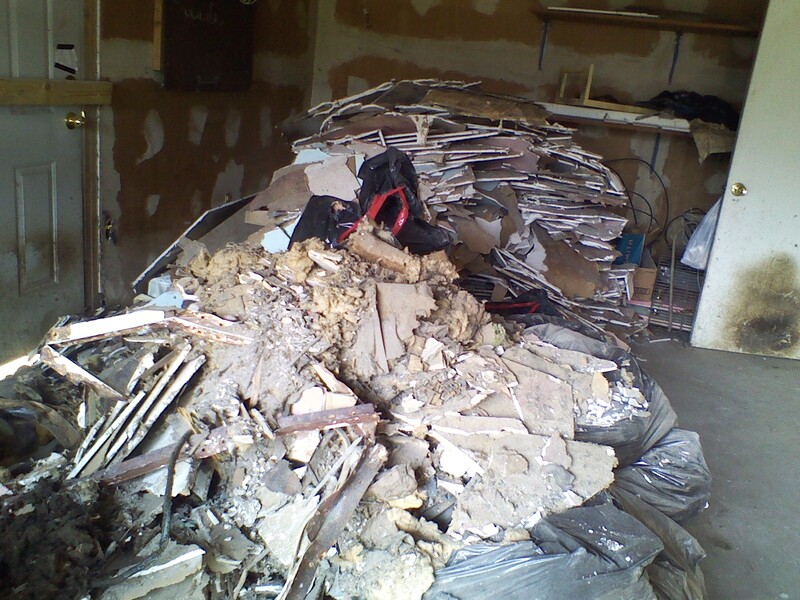 Because of the demo on the interior of the house, I have a garage full of debris– but each week the nice trash man picks it up in my big official black trash can on Mondays. 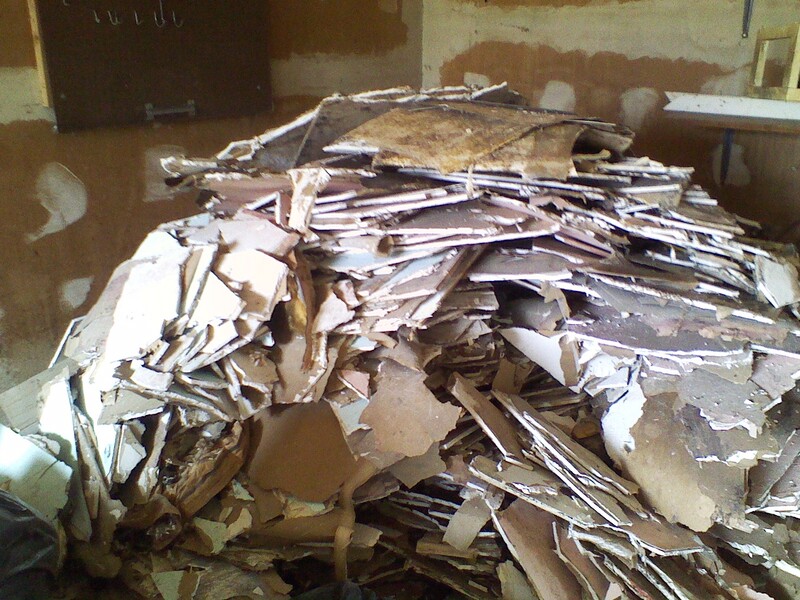 Now I am down to about 2/3 of the original pile of debris, thanks to Trash pick up! 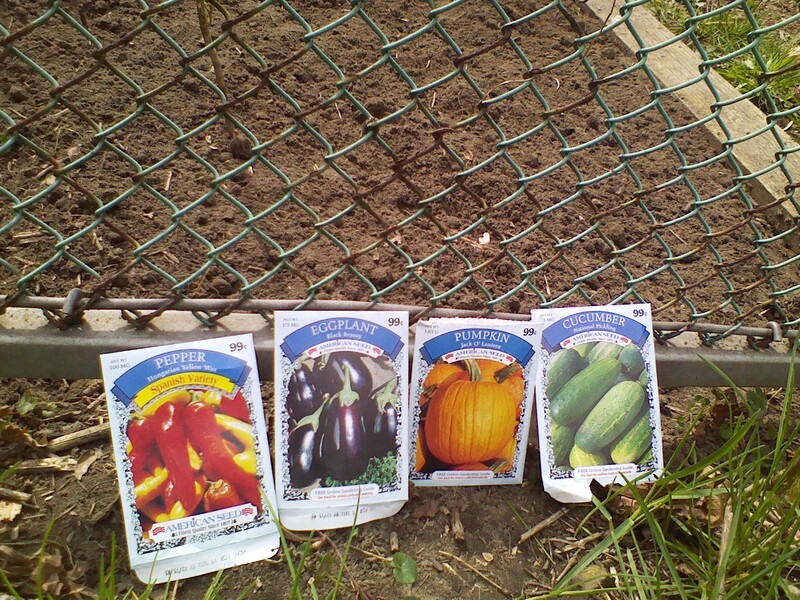 Here is the work I did on April 29, creating a raised bed and planting four crops from seed: Cucumbers, Peppers, Eggplant, and Pumpkins. 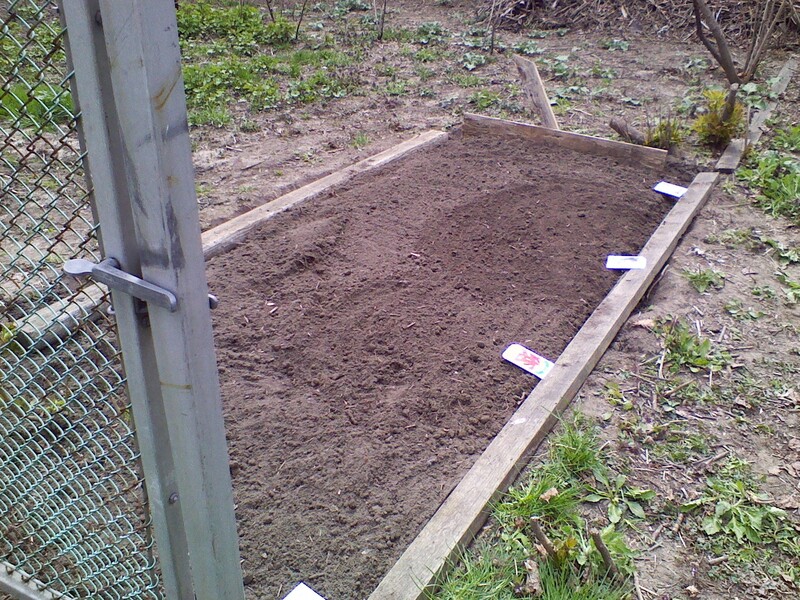 I placed the Pumpkins in the last part toward the organic debris piles near the back fence, because if they grow, they will take over the bed, and so will be able to roam their straggly vines freely toward the chipper pile. I have also excavated my front yard near the house itself — turns out that the large bed in front of the house is actually a cement patio the length of the house and extending about 15 feet out. Since we are a right to life house, I have decided to keep some of the weed trees (Poplars? Ailanthus? ) 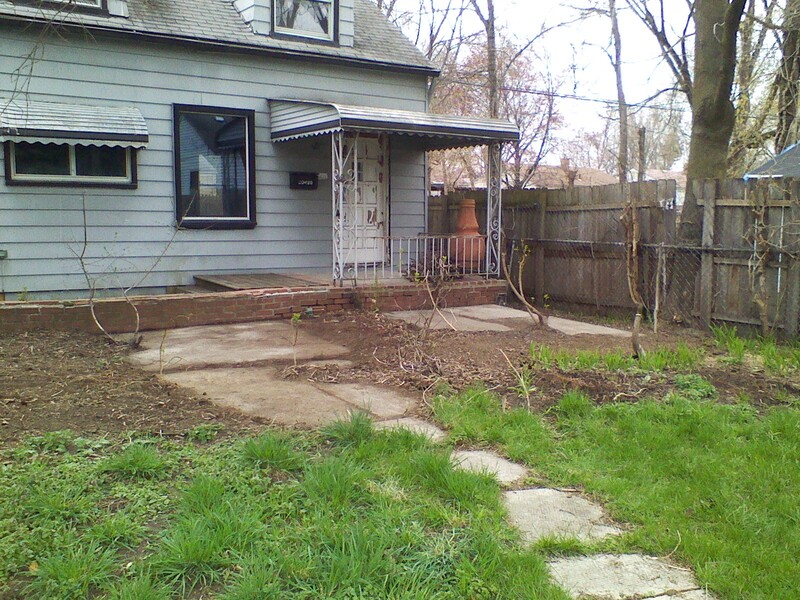 as shrubs to stabilize and soften the facade, and establish a planting area. And April 21, the lawn got its first grass cut of the year! 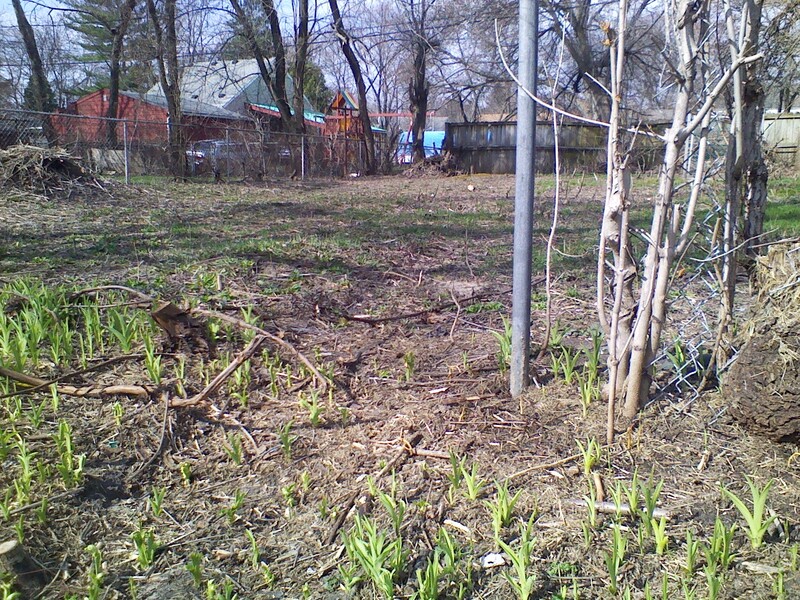 It looks beautiful and lush and green — I dug out most of the broadleaf weeds like dandelions, and removed sticks prior to mowing. 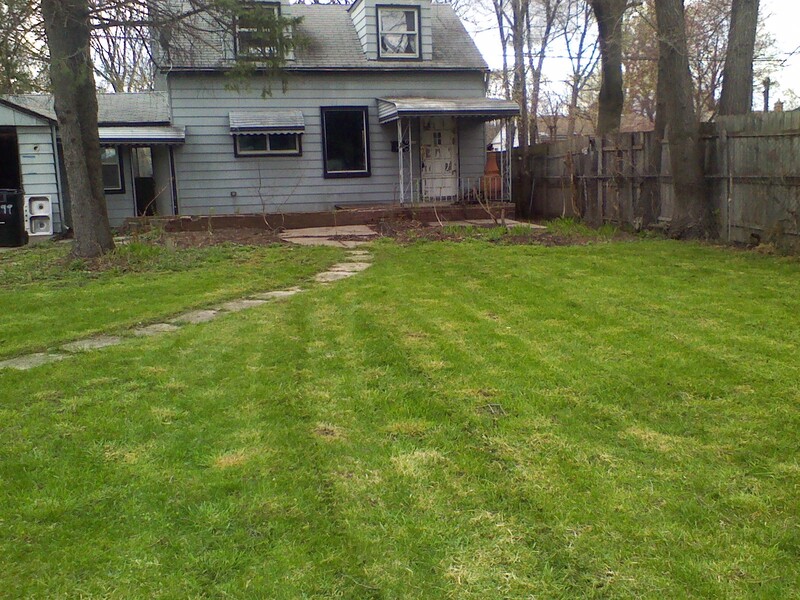 I am insanely proud of my lawn, as it is lengthy and spacious and even elegant. It makes my small house look special. Maybe someday I will see my [non-extant] grandchildren run up and down this lawn, or maybe play croquet, or a little kickball game? 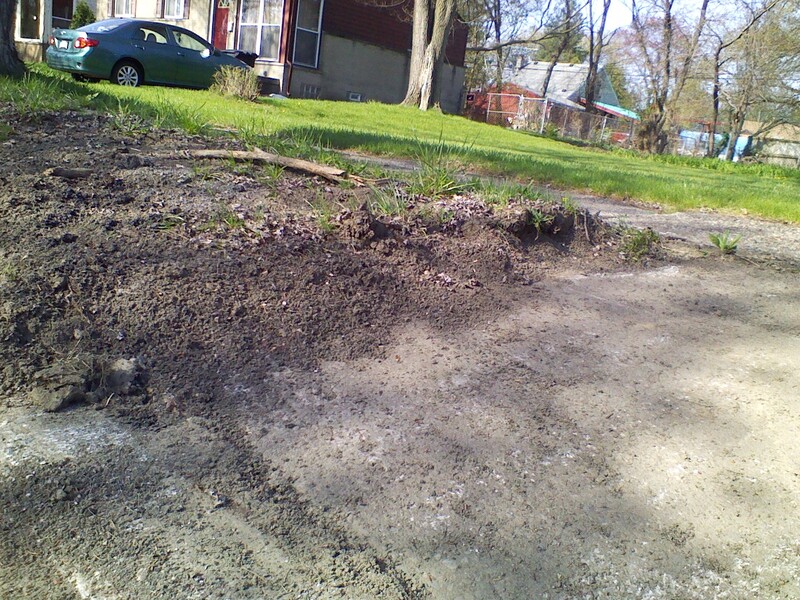 Finally, I have contacted DTE, and my City Councilmember, James Tate, regarding this big blob of asphalt that was either dumped by the City’s streets crew, or by DTE repair crew. It prevents ingress or egress access to the drive way. It’s also a form of pollution. 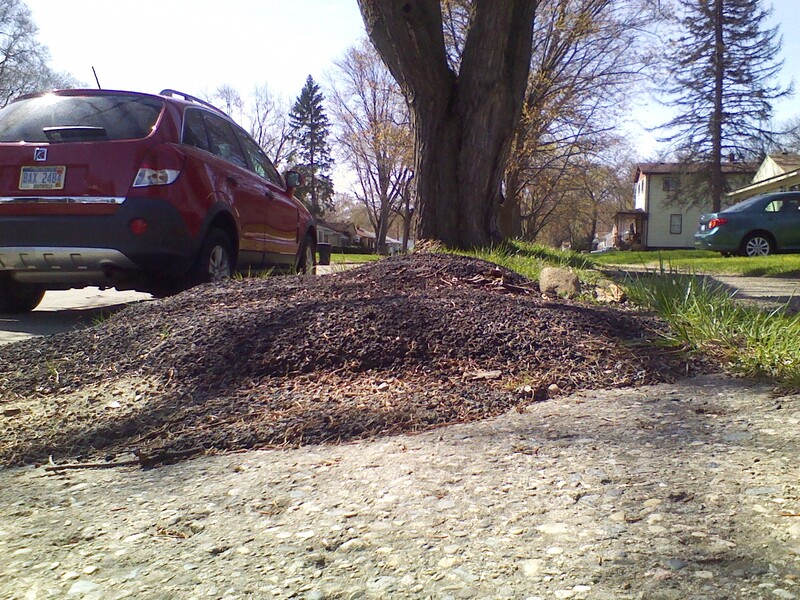 UPDATE: on Friday May 1, DTE removed the blob of asphalt! You can see that I now can get into the normal slope of the driveway from the street. Thanks DTE and Councilmember James Tate and his assistant Aaron H.! Thanks!